I love LEGO, I'm an AFOL, if you know what that is. You can build a LEGO tank with the right parts. You can buy parts online from various sites. I have only one thing to say; Pure awesomesauce!! Once again proof that Lego is the most awesome "toy" EVER! 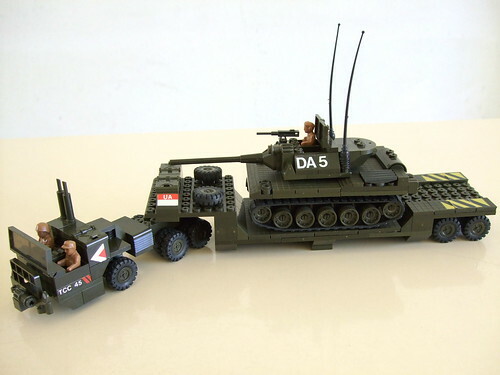 Those LEGO tanks are great and the guy from the site is selling them. But you could buy LEGO parts and build your own, it will be cheaper and more fun! You can even buy Power Functions stuff and motorize it. That's something i've always wanted to built with my legos, but i've never had enough of those neat track parts. Legos are awesome. Lego was my favourite toy as a child. Both my brother and I would spend hours making just about whatever toy we wanted. Long before Lego started making special licensed tie in kits, we were making things like Pirate Ships, the car from Ghostbusters, Bi-Planes and even Handguns (albeit in brightly coloured bricks). We never made a tank though. 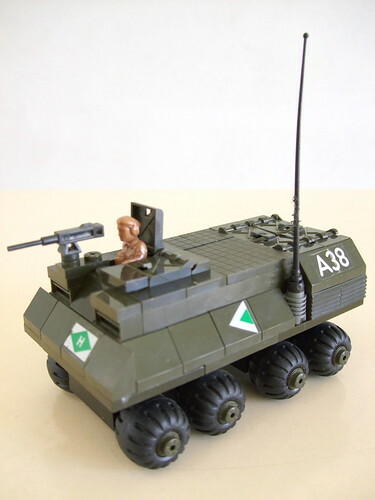 We used to have holidays in Spain in the late 70s and early 80s and there was a product similar to Lego called Tente, this did have all manner of military kits. Although we collected Tente Astro, the Space kits. You can read about Tente here. The detail was better than Lego at the time, probably because the kits had many custom parts just like Lego does these days. Sadly this great regional variation of brick modelling all but disappeared in the early 90s. Man Lego is so cool and I remember playing with it for hours when I was young! !